Just came home late at night after work, and I just feel like writing this before diving into bed. 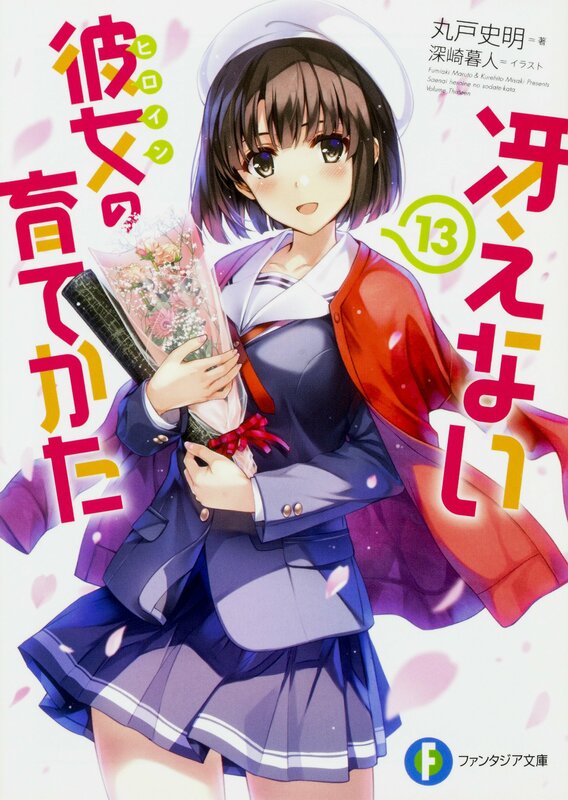 I personally didn’t hold any expectation for Saenai Heroine no Sodatekata Flat at first. It’s been a pretty fun ride so far, and while there are minor changes to the way things resolved on-screen compared to the original, it hardly changed the direction things are going to at all. 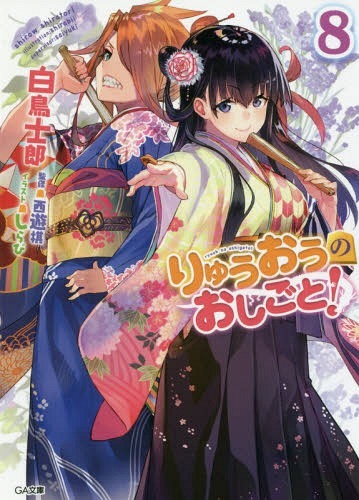 Some things like the Eriri arc definitely fell flat due to the anime’s lack of proper build-up compared to the light novel which had enough time to establish Eriri’s characterization better. But, I guess episode 8 showed that the show not only succeeded in delivering a satisfactory experience, but also conveying an important essence of this series through and through. This is one of the most important moments in the series, and depending on the execution, can either shine or flop miserably. Good thing it wasn’t the latter. Both the auditorium and the bed scenes were done with enough details that were necessary to juxtapose Tomoya and Megumi’s interchanging feelings. While a lot of the viewers may look at this episode as a leap of romantic development though, I may not quite be in the same board. I have to admit, unlike some people, I dislike seeing things in an extremely polarizing light when it comes to relationships in Saekano. 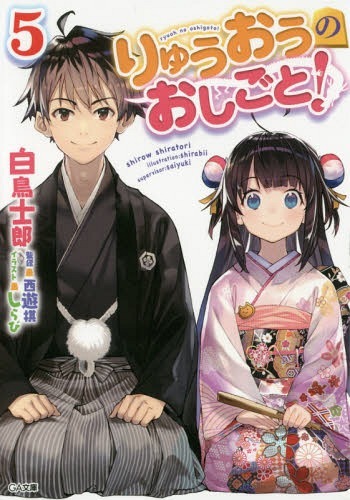 While the issues of romance and tendency for shipping are something not uncommon for a story heavily marketed as a “harem romantic comedy”, I’ve always seen it as an unnecessary shackle to a series that presents dynamic relationships that can’t simply be defined by rigid generalization—especially one between the main characters, Tomoya and Megumi. The development of their relationship, which changes through time ever so subtly, has been subject to much misunderstanding, which is something one would expect from a series like this. I mean, when it comes to a show with a boy as the main protagonist and multiple cute girls, it’s pretty logical to think things will turn up romantically. But I think that’s not all it’s about in Saekano. Megumi’s feelings of anger and disappointment that we saw didn’t purely come from a romantic standpoint; her anger was a direct consequence of Tomoya’s action in the Winter Comiket, and her disappointment was born of her perceived expectation of what Tomoya would have done. This expectation exists because of the trust nurtured from the ever-growing bond between her and Tomoya which subtly developed throughout the series. Is it solely romantic? Not necessarily. 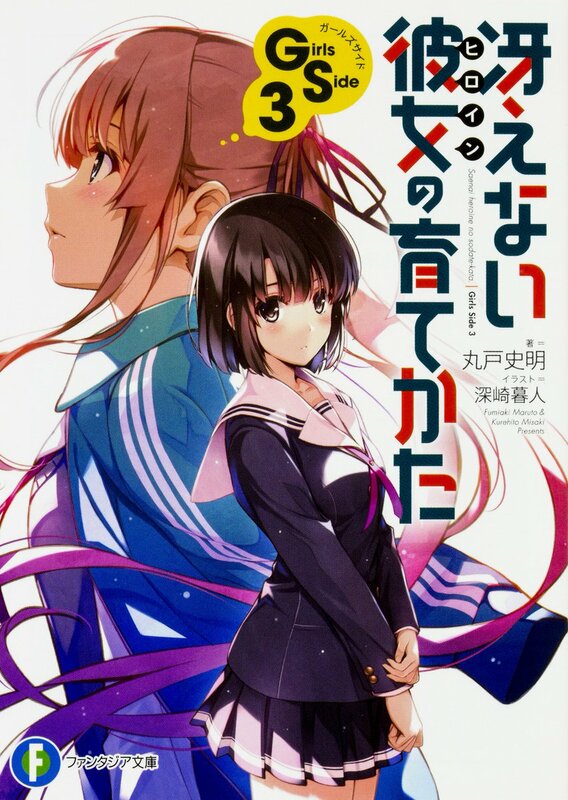 When you think about it, the relationship between Megumi and Tomoya draws parallels with how—unlike Eriri and Utaha, which are both characters with obvious, trope-esque charms that people can get to love and enjoy as soon as they appear—it takes time for people to figure out what kind of character Megumi really is and what she really thinks. And as the series goes on, the changes in the way Tomoya and Megumi interacts are apparent, especially if you are reading the light novels. It may not have been “love” initially, but it’s a genuine relationship. And as time goes on, those feelings continue to change and finally bloom at one point. 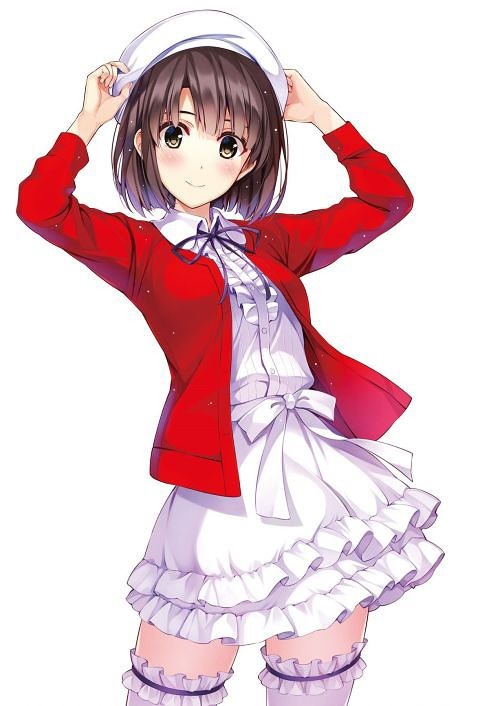 I think, it would be great if others could also consider seeing Saekano in a broader light—and if possible, checking the original work. I have to say the series has been through some rough times, especially when it seemed some events were just there to prolong the series or cater to specific audiences; but in the end, I sincerely feel that it wasn’t really a waste. 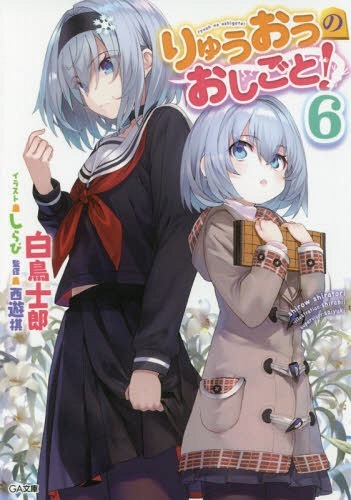 The light novel will be ending in two volumes, and the anime will also conclude in three more weeks. I simply hope you can enjoy the series, regardless of the form of media you revel in. I guess that’s all from me, since I may start going all over the place when writing stuff like this. Ciao. NB: Props to Kiyono Yasuno for the great voice acting and Megumi’s new insert song performance. romantic’s scene. i meant , they relation of course followed this way or not? does it is just a mistake of my shape of thought? No, I’m specifically referring to the point that the anime just reached. It’s pretty obvious that romantic tendencies has started to escalate between the two from the start of the second part. The point I’m making is simply regarding the fact that Megumi’s character development in the first part doesn’t necessary carry a romantic nuance. 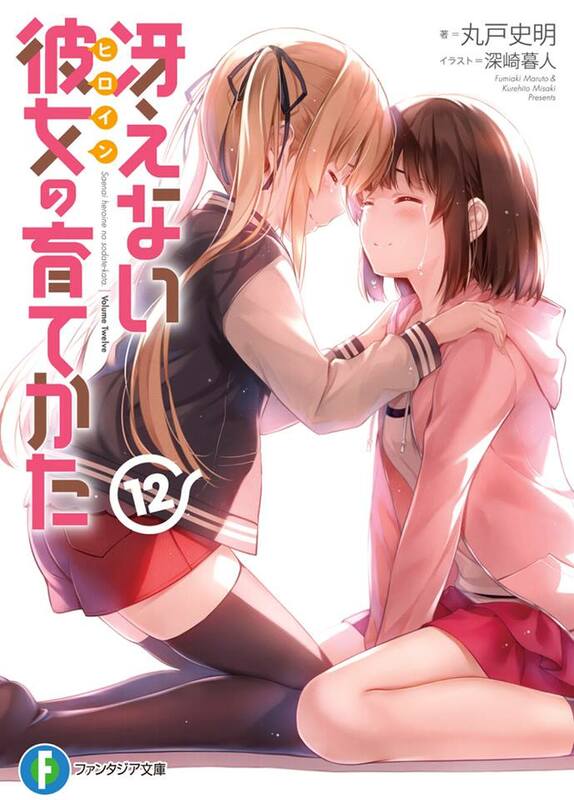 Saekano has really been getting some bad reviews as of late because of the twist with Utaha and Eriri leaving the circle. As a fan of Megumi, I actually don’t mind that twist at all. It seems that the both of them was getting in the way of Megumi’s and Tomoya’s budding relationship. We wouldn’t have had so many cute romantic moments in the story with them still being in the picture. 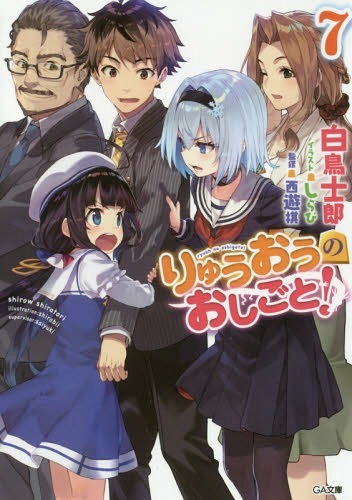 As far as I am concerned, the main characters of this story is Megumi and Tomoya, and all the rest are side characters.